March is Woman’s month (US, Australia,UK) International Women’s day is March 8th. Here are Dr. Wilen’s insights on Generation Z women and the impact they will have on the workforce and as leaders. 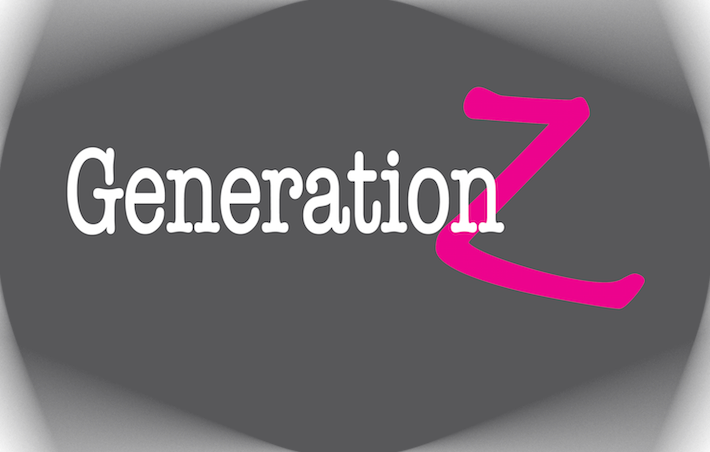 Gen Z is loosely defined as the generation beginning in the mid to late 1990s. Sparks and Honey report that Gen Z birth years range from 1995- present (2016 the oldest person in this group would be 21). They note that Generation Z will be 40% of the population by 2020 and will be much more diverse with 50% hybrid multicultural backgrounds than previous generations. According to authors Beltramini and Buckley Generation Z is currently about 26 % of the US population with many in college and in the workforce. How did they grow up and what defines them? Generation Z is growing up in a volatile, uncertain, complex and ambiguous (VUCA) world, one that is full of hypersexualization, terrorism, reality TV, recession, massive school shootings, cyberbullying, and cybercrime. Independent – According to William Strauss and Neil Howe in their book Generations , generations that follow teaming generations are usually more independent. Generation Y (Millennials) are team oriented, Generation Z is more independent. Sparks and Honey note that Gen Z are less coddled than Millennials with more pressure by parents to succeed, to find jobs, be independent with a strong desire make a difference. They tend to be driven by a strong work ethic, and a desire to have an impact (volunteerism). They see issues of the millennials (living at home) and resolve to do it differently. Writer Bryan Abner in the Biz Journal notes Gen Zers want to work for success vs. millennials who want to be discovered. Recession savvy– This generation experienced the recession, Ameritrade reports 46% of Gen Z are worried about students debt after college graduation. They have learned a lot being the children of Gen X with Gen Y siblings a to the Cassandra report 57% of teens would rather save their money than spend it. Conflicted views about Education – They are the largest group that is home schooled. According to research from Ameritrade, 54% of Gen Z believe post-secondary education is critical for career success but worry about debt and 36% about college affordability. By contrast, a third of Millennials actually wish they hadn’t forked out the cash for college. Realistic– compared to millennials, research shows that members of Gen. Z are even more entrepreneurial, loyal, flexible and realistic in their approach to careers and purchasing. They choose employment opportunities based on growth and work-life balance over salary. Balance, Leadership and Stability– Authors Beltramini and Buckley note that Gen Z will most likely bring balance, leadership, and stability to the workplace and be less loyal to firms than Generation Y. Early starters– Sparks and Honey note that Generation Zers are early business starters with some as young as 12, have multiple gigs at the same time, expect to have multiple careers by age 30. Expect remote employment–In the work place they will expect to work remote as they know no other way to work. Long term goals with firms-The researchers note for example, 60 percent of the aforementioned students said they would like to stay with one company for more than 10 years, with another 31 percent saying they’d like to stick with the same organization for 20-plus years. Understand the value of People Skills– According to a focus group of 600 high school seniors by i4cp they found that eight in 10 of these youngsters indicated that they prefer in-person communication, and 37 percent said they believe technology has a negative impact on people skills. Confident- According to the latest American Freshman Survey, which measures attitudes of first-year college students across the country, almost four out of five of them claim their drive to achieve is stronger than that of their peers. Networkers– Like millennials, they will seek mentors and supporters as they start out in their careers, and they will be even more connected through technology. About a third desire to become managers in the next five years and 45% believe working with Baby Boomers will be challenging. Gay marriage legalized and same gender families accepted. Parents influence career choices- Generation Z are heavily influenced by their parents, with 57 percent of men and 64 percent of women saying that their parents have the biggest influence on their educational and career choices. Friends make up some of the difference for males with 27 percent, whereas only 22 percent of females say they are influenced by their peers. Digital- Gen Z was being born into a world in which they would learn to type their name before printing it. For example, 65% of 12 year-old girls and 79% of girls between 13 and 15 own their own mobile device. Almost a quarter of teens have a tablet device and 95% of the Gen Z population uses the internet. Of tweens aged 8-11, 91% of boys and 93% of girls play games online. Entrepreneurship- the NY Times noted that entrepreneurship is in Gen Z’s DNA. They grew up with Made It Myself sites- Etsey, Zazzle, and watching TV shows like Shark Tank. 70% work entrepreneurial jobs in youth. In addition, they have a strong sense of self and adaptability to change a key attribute needed for entrepreneurs. 42% want to run their own business. 61% of U.S. high school students want to be entrepreneurs rather than employees. 63% of Generation Z think entrepreneurship should be taught in college. Gen Z women have the ingredients to change the landscape for women in business, technology and leadership. It is up to us to create equal opportunities for them to excel. Healthy risk taking– According to research published by Psychology of Women, organizations such as the girl scouts and girls.org encourage girls to take healthy risks. Promote STEM (Science, Technology, Engineering and Math) even if you are not comfortable with it. According to ISTE engaging girls in STEM at an early age is essential to closing the gender divide. Tech camps– Girls find their passion for high-tech careers at AAUW’s Tech Trek camps. Through hands-on problem solving and encounters with women role models in science, technology, engineering, and math (STEM), Tech Trek helps girls see their futures while having nonstop fun. Classroom– Maker Movements that promote STEM in schools are ways that we can ensure that women are actively and independently participating in job creation and growth as business inventors and owners. Role models– ISTE notes that offering role models, encouraging collaboration and providing opportunities for student-directed project-based learning using design thinking and other cutting-edge pedagogies engages girls and improves learning outcomes. Look beyond personal generational biases. Finance, technology and business skills are not gender characteristics but critical skills for a contemporary world. Entrepreneurship. Encourage women to run their own businesses to create their own culture and successful environment. Previous Post10 Cloverfield Lane - Movie Review by Anne Brodie Next PostDave Sanderson says What She Said opened his eyes to some issues that women face.